All dinner menu items include garlic bread,fresh seasonal vegetables and choice of potato or rice, As a courtesy to our other patrons, please set your cell phone to vibrate or silent mode. With Fresh garlic, butter and flamed with Pernot. (Prepared at your table for miminum of two) $14.50 per person. Iceberg and romaine lettuce mixed with radicchio, red onion, green and red pepper and our special dressing. Topped with Kalamata olives, cucumber, tomato, fresh oregano and feta. With your choice of dressing: Thousand Island, French, Blue Cheese, Ranch or House dressing. 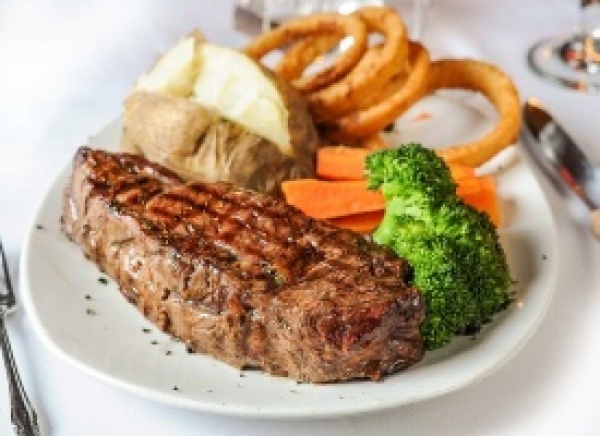 The finest Alberta Beef roasted to perfection. With fresh green peppers, red peppers, onions, and fresh mushrooms served with rice. The above selections inlcude garlic bread, fresh vegetable and choice of potato or rice. Our famous table-side fire-prepared, one pound finest filet flamed with wine and brandy. Served with the Vegatable of the day, Asparagus tips, Onion rings and Mushroom caps with our special sauce. Cracked peppercorns, deliciously sharp, flamed with brandy and wine and served with our special sauce. 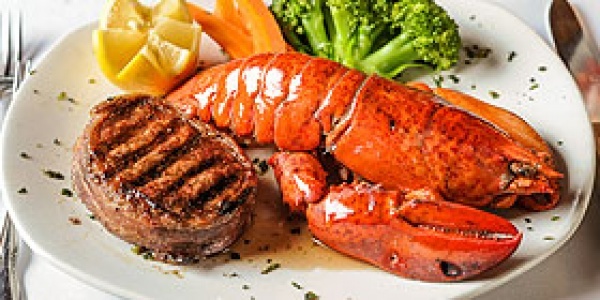 A delicious offering Lobster Tail with drawn butter and Filet Mignon served with rice. 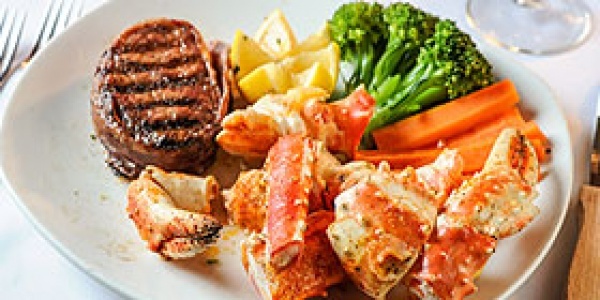 Served with our finest Alaskan King Crab Legs and drawn butter. Enjoy two half-pound Lobster Tails with drawn butter and rice. Freshly caught and made with our signature Meunier or Almandine Wine Sauce. Enchanced with garlic, wine, butter sauce, served with rice.